Is 30% of your revenue coming from Referral Marketing? As a growth company with your own loyal client base, now is a time to create a new sales channel from your existing customers. Turn them into your enthusiastic referral sales team. Campaigns analytics, partner payments and the marketplace provide a unique and compelling proposition. Partnify makes it simple to reach out and convert your customers and fans into enthusiastic partners. 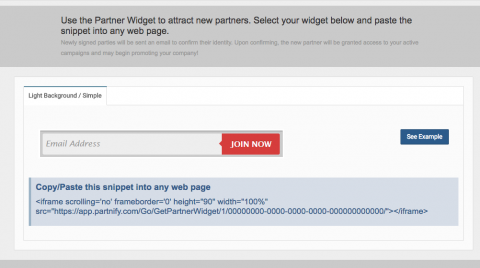 Import your email list of partners and fans into Partnify. They’ll get an email then watch your revenue grow as your new sales team comes on stream. Your Partners have all the tool to be successful. They can engage their audiences on they way they prefer. Partnify provides social media sharing, referral links, display adds and WordPress plugins for them to promote your companies. Detailed realtime analytics give them visibility and confidence to ensure their success. Partnify supports rapidly growing businesses with a complete approach to managing the Partner channel. The Partnify platform enables complete control of all aspects the the engagement, from creating the campaign through payment of your partners. Partnify is a comprehensive end to end solution for Partner management. Within the application you can create campaigns, on-board partners and reward them for their referrals. 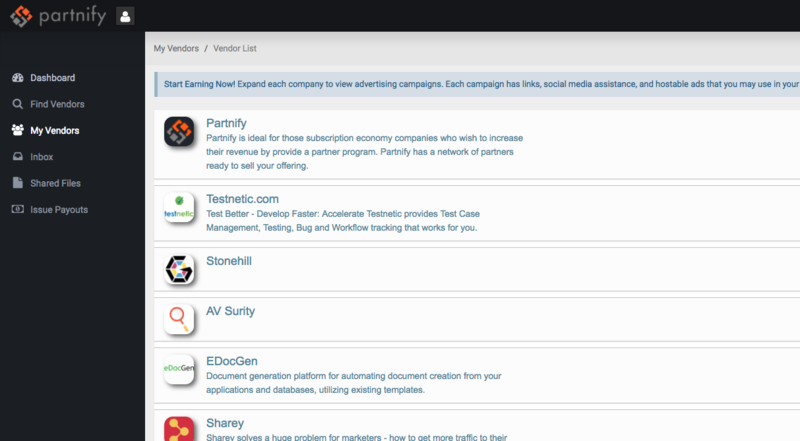 Vendors automatically join the Partnify marketplace gaining visibility to a completely new channel to market. So you don’t have a Partner Program? You do now! Partnify provides a custom partner page that outlines all the benefits of becoming a partner and enables a person to instantly become a partner. Link a menu item to the partner page and and promote the Partner Program via email and social media and the job is done. After joining partners and see and start promoting your campaigns. A campaign is what partners use to secure your clients. Banner advertisements, referral links and social media tags enable partners to leverage their networks in the most effective way. There is no need to convince your customers. In just a few seconds you can invite all your customers to become advocates. Further enhance your relationship by providing an attractive commercial incentive to refer associates to you service. With detailed real time analytics, you will discover much more about your business than partner performance. Tune your business and create new campaigns that leverage information gleaned. Engage and develop your premier partners. Partnify’s settlement system ensures your Partners are paid promptly via their PayPal account. No need for complex integrations. A couple of line of code in your application enables real-time tracking and partner settlement. Partnify provides complete transparency to the performance and payment of all partners. 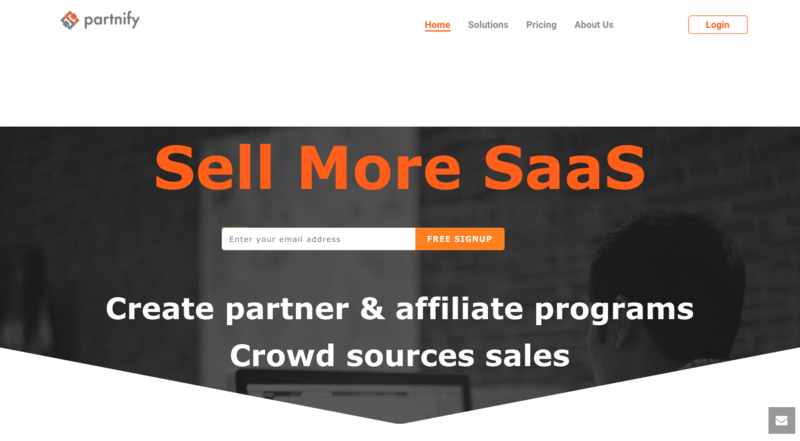 Partnify enabled “Crossing the Chasm.” The Partnify Marketplace with Affiliate enabled people ready to roll was critical in securing out longer term growth.” As a Startup their “Success Only Fee” gave notice to us to treat the Marketplace as a priority. Running your startup means your probably time poor. We get that and so the great news is implementing Partnify and appearing in the marketplace is fast and easy. In 30 minutes you’ll be exposed to a world of motivated potential partners. Once operational your solution is automatically in the Marketplace. Here potential partners from around the work can filter and selects software companies that they can best assist to growth. As partners join your program you will get instant notification. Be a nibble startup. 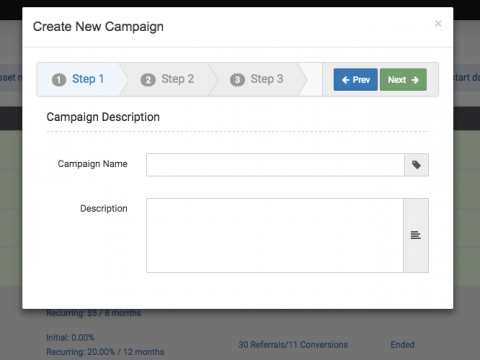 With Partnify you can quickly create new campaigns with fresh create and differing incentives. Changes attributes such as commission. cookie duration and campaign duration and observe the variation in partner response with the real time analytics. With an enticing campaign now in the marketplace, potential partners can now filter, select and promote the campaigns created by the software companies. In minutes you can secure effective partners from across the globe.